Everyone everywhere has the responsibility of inclusion, which means you and me in our day-to-day lives, as well as our communities and the organisations we work within, writes Disability Employment Australia CEO Lynette May. It’s easy to be critical of the Australian Public Service’s fall in disability employment – almost halving from the early ‘90s to 2.9 per cent now. It’s a little less comfortable when we‘re faced with the knowledge that Australia ranks 27th out of 27 in the OECD in terms of poverty for people with disability, and 21st out of 29 for the employment participation rates for people with disability. It becomes a little harder to pass the buck of responsibility. These two shameful realities are intrinsically and logically linked. It is clear that so much needs to change in our society to address this inequality, and that to be effective it requires a whole of society approach. There is an ever-increasing push from government towards a civil society model, creating more pressure on the community sector to provide services and support to those who need it. The implementation of the National Disability Insurance Scheme (NDIS) is also changing the lens we view disability through, placing the person at the centre rather than the periphery of service delivery. Now is the time to diversify our workforce. The Every Australian Counts campaign made disability a conversation topic at every dinner table in Australia, the magnitude of which was confirmed through bi-partisan support from parliament for NDIS implementation. This broad support behind the NDIS suggests that our community organisations should be better reflecting the community in which they operate. Federal Social Services Minister Kevin Andrews is currently reviewing the Disability Support Pension with a view that more people with disability can and will work. The ageing population may result in a shrinking labour force as early as 2015, therefore it is already a business imperative to tap into new talent pools, including people with disability. Society’s typically low expectations of people with disability are a significant stumbling block. We can begin to change that by electing to serve the community through a diverse workforce. More instances of people with disability in employment will start to change the attitudes of the wider community – of other employers, or the parents of children with disability and of people with disability themselves. One in five Australians of working age have disability, but only 53 per cent participate in the workforce compared with 81 per cent of people without disability. The benefits of employing people with disability outweigh the effort and perceived risk. We shouldn’t be afraid of positive discrimination, or of altering our recruitment processes to be accessible for all candidates. According to a recent industry survey undertaken by Disability Employment Australia, almost 15 per cent of the current Disability Employment Services workforce identify as having disability. Similarly the National Disability Insurance Agency reports that 10 per cent of employees at its national office, and 12 per cent at trial sites have a disability. Large corporations like ANZ, IBM and Telstra have active diversity and inclusion programs. Creative Spirit is a fantastic example of a demand-driven disability employment program, established through creative agency Droga 5 in partnership with Disability Employment Service provider Break Thru People Solutions. This is an inspiring business-led challenge to the creative sector following the incredibly positive experience of Droga 5 who employed Lloyd, a person with Down syndrome. The campaign has spurred 78 creative agencies to employ someone with disability – this is a marker of what is possible when employers take the lead. In the current welfare reform debate, Disability Employment Australia has joined with ACOSS and many of its members, to argue convincingly that the answer to welfare sustainability is more sustainable employment for people with disability. We, as a sector, have the power to start making that a reality. We don’t need to sit back and wait for government and big business, or excuse our lack of action due to size and resources. The government funded Disability Employment Services sector assists people with disability into employment, and provides recruitment solutions to employers. However, to make the service more effective, we need an increase in employer-driven demand. It can be easy to forget that community service providers are employers too, and that we can make a huge impact. If we all committed to increasing demand, we could generate a significant number of employment opportunities for people with disability. Leap Training is a progressive RTO working in the community sector that has begun the journey towards broader inclusion practices for people with disability. Their Managing Director Ben Pettit commented: “We knew that if we were going to deliver training to people with disability, our organisation had to reflect the diversity of our students. “Through participating in Creative Spirit and through our own inclusive HR practices and values, we’ve built a diverse and talented team who understand our student base first hand. While the issue of discrimination might be complex and multi-faceted, the solution starts with each individual. We are all empowered to make a change, and your workplace is an excellent place to start. 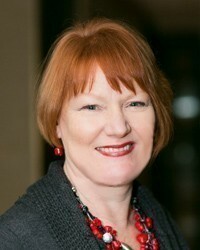 About the Author: Lynette May is the CEO of Disability Employment Australia – the peak organisation representing the Australian Government’s Disability Employment Services.